Located 900 metres from Montjuïc and 1.3 km from Plaza Reial, Apartment Paralel 113 offers accommodation in Barcelona. 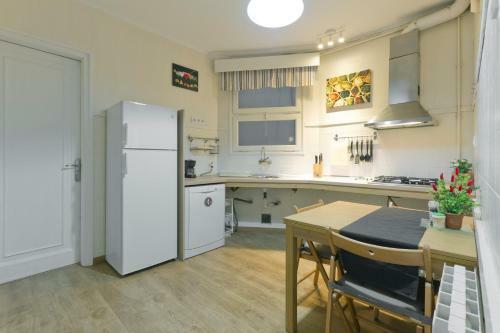 The property boasts views of the city and is 1.5 km from Plaça Catalunya. The kitchen is fitted with a dishwasher and an oven, as well as a coffee machine and a kettle. Towels and bed linen are provided at Apartment Paralel 113. Portal de l'Angel is 1.5 km from Apartment Paralel 113, while La Seu, Cathedral of Barcelona is 1.6 km away. The nearest airport is Barcelona El Prat Airport, 11 km from Apartment Paralel 113. Rate: € 142.46 ... € 257.00; select dates below to get current rates.